Yes. I should be optimistic. I do want CWK to remember so that she can heal properly too. In my opinion, she isn't heal completely and she has to trick everyone around her (her step mother, Dr Yoon, her ex) that she is ok, she is no longer "hallucinating" the little girl in green dress. The most heartbreaking thing in the world to me is to act like nothing happen, act normal, and fake happy. If it doesn't come truly from the bottom of the heart, there's no room for healing and getting through the past and live for the future. I know that she is still tricking her mother and the psychiatrist about the hallucination. She is not "healed" but unlike before, she has accepted these visions and she is not so conflicted any longer. She is still emotional but she doesn't let her emotions overcome her. im curious about eunho's warning towards cwk .. that she not try to remember her missing memories because she might regret it. It would be a good twist, if it turns out that LEH is not Red Cry. I have been thinking about that... what if LEH wanted to take the fall in order to keep Red Cry continuing his work? What bothered me is LEH's words in the episode 12: someone said the exact same things to him than CWK. Who was this person? Then how come that LEH made such a huge mistake in front of CWK? It was deliberate so that he had a reason to take her as hostage... Red Cry is smart and he knows how to manipulate people. I don't perceive LEH as such. When I re-watched the episode, I also got the feeling that his explanation about their deeds is not clear and convincing that he is the master mind. He may thinks that he should take the fall as the real one did right thing, hence the latter should not be arrested and punished. He may also hopes RC continues his work. Considering that we still have 3 episodes (6 mini-episodes), I think it is possible that the writer may want to surprise us especially those who "underestimate" her that she uses the same story-telling method of revealing the culprit. Huhu. Whatever path the story is going to take, I do not really mind. Her work is still impressing! Now that I watched up to the most recent episode, I have several speculation. 1. LEH and someone else (who hasn't been revealed yet) are Red Cry. LEH fits Red Cry profile (fondness for CWK, protector of kids, stature and athleticism, and location), and although that the show revealed he was the one who killed Hana's mother and father, there are also time when LEH seemed like he wasn't sure about the specific details (that the body found was a woman and that there a skeleton remain of a child). It might be that he was actually surprised about these details, or it might be a red herring to make the viewer think that LEH wasn't Red Cry. But the key thing is that, LEH might not be the only one who Head Director Song raised since Head Director Song raised him from an orphanage. He could be just one of the children that were forced to read the poem to Head Director Song and was abused by him...meaning that, he might not be the only one. Maybe, LEH was trying to protect another "child" since he believed that he was doing something good for the "child," who should have grown up. Because it was sloppy work by LEH to not change the shoelaces and left it intact. He obviously knows that the shoelace would have clued them into his real identity (that's why he left the envelop with the USB with the shoes), but why was he suddenly confessing to everything when just an episode ago, he was ready to knock out JH to hide his identity? I think it is because LEH realized the police is on this case, so he decided to take the fall for him and his comrade. Just like how he intentionally hinted to CWK that he knew Red Cry, so she would come back to investigate. LEH's behavior indicated he was protecting someone...but whom? At first, I suspected Soo-young, but she doesn't fit the picture (because she was with JH during the dog butcher's murder...so she couldn't have committed the crime)...so I think it must be someone we had overlooked. I think his accomplice is the child LEH lied to save and claimed to have lost contact with. Who is that child? I don't know. 2. As for LEH's confrontation with CWK, I think CWK was partially right...LEH was trying to agitate the police into shooting him. Yet, I do believe LEH intended to kill CWK because as he said before, CWK resembled him (the same eyes as Hana and Bit-na...hence she was abused, sympathy for children, a hidden memory--the girl in the green dress for CWK, the white room for LEH, and a violent tendency--CWK's outburst against the single mom and her violent thoughts of killing some people) and to "save" her from becoming him, he was going to take her out. The rest of the show seems to settle on disclosing CWK's mystery...and revolving around this question...whether CWK would turn into "Red Cry" as LEH predicted (I don't think she would because of her reaction to death and murder). But it's interesting to note, unlike LEH, who sees his abuser in his vision and memory...CWK sees her little sister, who in almost all of the cases had comforted her from committing the violence CWK imagined. LEH envisioned the devil; CWK envisioned her savior angel. And I think SK's woke up to save her sister once again, so she would not crumble. Final note...anyone noticed LEH's reaction to the word "forgive" when Director Song asked whether LEH would forgive him or not? Remember CWK's reaction to the mom when she said the word "forgiven" so CWK would pay more to alleviate her guilt? LEH's behavior indicated he was protecting someone...but whom? I haven't been able to watch this week's episodes yet but I've been reading the comments with interest. Truthfully, not only was I stunned to hear that LEH was revealed as Red Cry but I could not believe it. Really. My first thought (not having seen the episodes, mind you) was that he was either covering for someone or taking the fall for someone. That is what someone with his personality type would do. So I'm really glad that you posted this. Knowing that someone else felt this made me feel a bit relieved, and that may make it easier for me to watch. As much as I admire this show, it is very difficult for me to watch and I have to take it in small bites. It's funny how some dramas are like a cake: light, fluffy, sweet, and fun to eat. But Children of Nobody is more like a heavy wholegrain roll: thick, chewy, and maybe a bit difficult to digest (especially without butter or cheese to smooth the experience). The cake tastes nicer but it isn't really the best choice all the time. The roll is better for you in the long run but it is still probably not what you want to eat at every meal unless you've got something to go along with it. I can't really theorize since I haven't watched but I think there is much we do not know and will not know until the drama ends. I still suspect Bit Na as being involved since she is so smart. And I suspect that one or more people from the police are also complicit (the chief, maybe the tech guy). I also have to admit that as much as I like CWK, I don't think we should trust her completely. If she is as "broken" as I suspect she might be, she may not be aware all the time of her actions. Is she bi-polar or dealing with multiple personalities? on another note: lee yi kyung is a force. i always loved kim sun ah but i didnt know about him and i'm so impressed. i love him im gonna keep looking out for him. his acting here was natural and easy to watch. i happened to see this (not amazing) film with him in it where he plays a gay man and he was good in that as well. something about him i ijust really love. Agree. My first time watching Lee Yi Kyung, will not be my last. I like the way he carries himself; calm and assured; you can relate to the character; there's a sense of authenticity in his acting. He reminds me of a young Jung Kyung-Ho in this drama... but then, I love LoM and JKH, bias bias. Jiheon's character personifies the criminal justice system the victims want to appeal to exist. His character in the drama exists not solely so that the others are judged by his standards, but for the fact we need someone like him to maintain hope and order for our society. He started strongly believes that each life is precious. At the end of this journey, he became less rigid, learned to connect with people, sees each person beyond the facts and circumstances. He opened his heart to reasons. He sympathizes with the grey area between black and white. All which makes him a better police officer. However, it doesn't change the fundamental things that make him Jiheon. The sense of fairness now amplified with empathy, a more grounded understanding of his role as a protector for victims, the need to protect all lives whether they are scums or angels. Just as we need to feel death to appreciate life, Jiheon looks into the darkness of our humanity and realizes the importance of rising above hate on our own character to recover and move on. If we fall into the same hate as the person that we despise, we are no better. Yet, if we chose the other hard path, to change and improve the system, others after Eunho can benefit. The system is imperfect so for the sake of the abused children, someone has to take the responsibility of the lighthouse for these wounded souls to turn to in the darkness. (BTW, the overhead drone shot of the snowed lighthouse is beautiful. Eunho returned to the place of his beginning). The long chase for Red Cry ends with the person whom Jiheon doesn't want to admit in the deep corner of his heart. It was not only the circumstances that lead Eunho down a tragic path. It's because of his background as an orphan, an invisible person in the society that few people care for, shaped his character. Kim Sun Ah mentioned at the awards about the messages the drama is trying to deliver. The interventions in these children's lives before they are lost to the abuse and the flawed system matter. What I find the saddest is Eunho's turning on CWK's cellphone to end it all. The suffering, the voices, the struggle to be happy, the fight to belong.. it is too much. The confession, the drive to where he was abandoned, the need to have the world hear his story, to become visible to society... a cry for help by a child who can't bear the pain anymore. It breaks my heart to see how dark his life must have been that pain is constant and change is impossible. For Eunho, it is always to end the suffering, his and the abused children. The betrayal and conditioning were deep. He made the choices for others because he believes there can be no other choice. The bond is hard to break just as he himself is forever broken and cannot be fixed. Eunho's limited view is based on his childlike mentality and the fact that his world is the Children's Center. Someone else exploited his weakness for their gain. @bebebisous33 @hushhh me too, my spider sense doesn't think he is the only RC member and his suicidal run is too personal. He didn't reveal to the police at the lighthouse the mission of RC. He lead them there so they can witness his death or attempt to kill CWK? Doesn't make sense. If this is his last public stage, why not reveal everything to a larger crowd so that people can understand his noble intention and bring more awareness to the forgotten children? That was the whole purpose of RC right? We all suspect RC has a god complex so it was too subtle of a confession for me. It feels like he confessed to ease his guilt before death. It's sad.. A person's whole life is changed because they were abused as a child. Eun Ho's acting is good~~ Lee Yi Kyung should shoot his arm, how can he shoot his chest? what i was thought too... how bad of a shooter are you that it ends up in the chest? This is such a well-made drama. Thinking of how messy the room is, filled with so many pages of poems, and that's how much abuse Eun Ho has received.. It's sad. Eun Ho's acting is really good. I'm surprised that he's an idol. 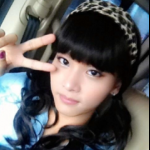 I think there are lots of people who were abused as a child like Cha Hak Yeon. Thinking of that, it leaves a lump in my throat. He ended everything in front of the lighthouse, the place his mother abandoned him. I think that's right. His acting skills aren't like the idols. This is so sad. "My mother abandoned me at such a beautiful place. Where do you think she had went.....?" Eun Ho is so pitiful. He was abandoned by his mother, and was sexually abused by the head director.. He's a murderer, but why is he so pitiful? Cha Hak Yeon-ssi's acting is good. Ah.. it's sad... Child abuse is the worst.. I'm sympathizing with the criminal.. This is a drama that made me feel lots of things.. I teared up.. I think it's right for the people who abuse children receive their punishment that way. I think Lee Eun Ho was sexually abused by the head director. Calling it 'love' for a long time. i can't stop thinking how that bullet lands on his chest when he was facing like this. unless he was shot in the back but was it possible to bleed if he was shot in the back? That depends on whether the shot went all the way through the chest. A through-and-through shot will result in bleeding from the chest and the back. It all depends on velocity and trajectory, and also on the caliber of the bullet. With some ammunition, the entry hole will be very much smaller than the exit wound. Also the shooter is using a rifle, so the bullet can travel a much longer path than one from a hand gun. At distance, long guns get better aim than a hand gun. Bold was the part that kept me thinking from the beginning that EH couldn't be RC... Now that it is revealed he is, I'm pretty sure that there is another person. My best guess is the young lad he became an alibi for. Anyway, since we still have 3 hours worth of the show, I am hopeful that EH would not die yet. I don't think the rest of the show is going to be just about CWK and her memory.... I agree that EH is probably just part of RC and there is someone else. Also, how come he seems to know for certain about CWK's past? and seems to know it very well? Does he have access to some information that CWK didn't have? LEH has no idea that JH has been abused himself that's why he thought that JH's commitment and strong will were a signal that he had a normal childhood. He came to this false conclusion as JH has not the same gaze than these of abused children. I hope too that we will see the ex-husband and the mistress again because I would like so much to see them regretting their actions. OMG yes, they really need to close the loop on that part of the story. And if they're somehow abusing Eunseo like some people were speculating, there will be hell to pay, I'm sure of it. I mean, it's not explicit, but yes, I personally took that to mean that he did it again, perhaps to punish Eunho for "letting" Director Song commit murder. And same, I think a lot of people at this point are hoping that he can survive that gunshot wound so he can truly begin to heal. That's why I am confident that she will overcome the pain, once she remembers the past. Actually, her unconsciousness/subconscious is indicating that she needs to remember the past. Any psychoanalyst would say that secrets are poison to the mind and in order to heal, the secret needs to be unveiled. If LEH suffered so much, it wasn't just because of the terrible abuse: it was due to the secrecy. He was told not tell anyone about it. He couldn't confide to anyone. Very good points! I think that because she has a network of people around her that support her, Jiheon in particular, Wookyung would be able to overcome whatever awful memories are locked away in her mind. They need to come out anyway so she can truly begin to heal from him, which is what I think the GDG represents. As you say, the reasons Eunho's repressed memories ended up hurting him so very badly is because he was utterly isolated and alone with them until they ended up consuming him entirely. I get the feeling that Wookyung is perhaps the first and only person he's told everything about himself to during the course of his entire life. @thistleI was also in denial at first before I started to watch ep 25 (saw a spoiler and my immediate reaction was "NO IT CAN'T BE THEY HAVE TO BE WRONG"), but at the end of it, there's little doubt left that Eunho is the culprit, unfortunately. However... okay, so after hearing people have weigh in on this subject, and thinking on it more myself for about a day, I do reluctantly concede that it may be possible that someone else who wasn't one of the founding members of Red Cry has hijacked the movement, and plans on continuing the crusade after Eunho is gone. Someone did leak the information about the killings to the press, after all. And the city just so happens to foreclose on the center right after Director Song is jailed and the Head Director takes advantage of Eunho for the last time? Lot of coincidences happening here. It's... almost as if someone was trying to force Eunho's endgame and get him out of the picture once he'd served his purpose ASAP (that someone could have been the writer herself, tho, so take that with a grain of salt). I do also concede that it would probably be all too easy for someone who seemed trustworthy and sympathetic to worm their way into Eunho's good graces and exploit his rage and pain for their own gain, so... we'll see what happens, I guess. I mean, it does seem farfetched, and I don't want to get caught in the trap of overtheorizing here, but as someone I believe on mydramalist mentioned, it would be just like the writer to get us all thinking she repeated a plot twist from her earlier drama, only to yank the rug out from under all of us and reveal another man behind the man, wouldn't it. Then again, even if she didn't do that, well, she still did her job, because aren't we all still kicking around theories even after the culprit is revealed? That's still damn good writing in my book, to get people jumping at shadows even after everything is almost wrapped up. You make an interesting point about Haneul Children's Center being the center (heh) of Eunho's world, though, @bedifferent. That got me thinking. I know a lot of people accuse Red Cry of having a god complex, but... don't people accuse children of thinking that the world revolves around them all the time? And what is Eunho if not a suffering child trapped in a grown man's body? He clearly has a very black and white way of looking at the world, exactly like a child: i.e. Hana's mother is an adult, she should take care of her daughter, the fact that she makes her eat out of the garbage and sleep in a storage room means that she's neglectful, abusive, it's wrong, she should know better, someone needs to stop her! It never even crossed his mind that Hana's mother actually didn't know any better, that she was abused herself, and she was taking care of her surviving child the only way she knew how. How could it? In his experience, parents give their children what they need or give them to people who can properly provide for them, and if they don't and force their child to suffer, they're evil monsters who deserve to die. Black or white, light or dark, good or bad. In a normally-functioning adult, this way of thinking would probably be indicative of a god complex, but to an abused child who literally cannot comprehend that there other ways of looking at the world because of how broken his psyche is, it makes perfect sense that his judgements would take this all or nothing approach. Because as others have said, nothing else about his personality indicates that he somehow has a god complex, I just don't get that from him. He's a pretty good liar (probably had to learn how to be one out of necessity as a child), but he doesn't seem to be outright manipulative, and as has clearly been shown, he simply doesn't understand nuance in people very well, hence why he gets along much better with children than adults. He doesn't want to be seen as a hero, he doesn't need recognition for what he did, I don't think he even takes any pleasure in the murders he commits; he just wants children to stop hurting, and this is the only way he can think of to make that happen. So that could explain the seeming discrepancy between how Red Cry's acted in the past, and what we know know about Eunho. He also had the doctor to help him out at first, so the doctor might have been the one to recruit people and be the manipulative smooth talker at the beginning. From the first time we saw LEH, I wondered if he was somehow connected to CWK's sister. Just a thought. I don't blame people for expecting more plot twists, but I stand by what I said before that honestly, I think the plot twist to Red Cry is that the writer made it so obvious that we wouldn't believe it's Eunho. We've seen Eunho lie plenty of times before, like not seeing bit na, not knowing about hana's sibling, etc. pretending he didn't know the dead body was a woman could also be just a lie, bec even if he wasn't the real Red Cry, there was no way REd Cry would even have heard of Hana's case if Eunho did not tell him. Eunho was the only person who could have seen Hana and her mom at the center and would know that they were living in it. He was the only one who had seen them rammaging the garbage for food. If he wasn't the culprit, he would have been at least the person who posted it on the secret website. But he is the culprit. He could still be in touch with Kim Min Ki (another lie i suppose he told jiheon) or Dr. Park/someone else must have said the same thing Wookyung said before. But I really believe it was all Eunho. He wasn't alone being the mastermind. He was with Dr. Park and Min Ha Jung. But he definitely was the hooded person and the one behind the black chat. With th remaining three eps, I am hoping to tie some loose ends like if the accident of Seok Woo's mom was still part of it, Jiheon and Sooyoung's backstory, and of course the girl in the green dress. I'm still waiting for the reveal of Jiheon's ex, if she had a miscarriage or if Jiheon wanted her to get abortion, because that would definitely heighten the charavter development jiheon had throughout the drama. I am also re-thinking that Mr. Yoon's case was indeed in the judement room and Eunho purposely set it up for the Director to kill him, because now we know that he didn't just have issues about abuse but also abandonment. He maybe wasn't sure that the Director would have killed Mr. Yoon, but maybe he thought that if he did end up dying, he would deserve it for cancelling the adoption of his kid. I don't doubt that the pain he showed us when he was arrested was true, buuuut do note that he had been letting the director take loans and he knew of all the transactions which would eventually lead to the downfall of the center. Maybe he didn't have the guts to kill them directly so soon, but he had been planning to take his revenge way longer than we thought. Your guesses are good. Given that several people have mentioned she looks like the girl in the green dress, what if Woo Kyung is actually Se Kyung hence the reason why dad has to retrain her memories to take on those of her sister when the real Woo Kyung left to go abroad. Question is why? @twin-twinRewinding that scene... exit wounds typically are larger cuz the bullet explodes inside and slowed down so it has to push harder to exit. Exit wounds are larger and bleed more. In Eunho’s case, hard to know at this point if he was shot in the back by someone other than Jiheon (which does make sense) or bled profusely because the bullet damaged his heart/lung. The angle is too harsh, can’t see how Jiheon would even consider shooting at his chest. It’s easier to try the arm, leg or lower torso. If he meant to kill him, he wouldn’t have shown that much concern afterward. @cyan5tarlight you made some very convincing arguments about Eunho. My impression is based on how the anger shown at the crime scenes and online not translated and manifested by Eunho in person during the standoff at the lighthouse. I see your points regarding the dissociation. The quiet confession in the car doesn’t match in tone with the public condemnation tatooed on Hana’s dad back. It doesn’t jive for me but then seeing him tore up the book pages and muffled the head director, I believe the monster can be unleashed just like how his anger lent him the supernatural strength to beat up the seasoned detective. That said, there are some sophisticated degrees of manipulation and mental coercing to recognize and recruit members that I don’t see coming from Eunho. He cannot communicate with adults well. We see it in his relationship with CWK and Jiheon. Yes, Eunho is self centered like a child but he doesn’t have the qualities and confidence of a leader. Maybe he is different online; still he has to understand or has the mindset of an adult to be able to coerce them. LOL, maybe the guy is truly a psychopath and deserves his end. We shall see in 3 more episodes. You could be right. Actually, I was thinking about this lately! Namely the relationship between Eunho and Director Song and how their subplot played out. I went back over the time when we saw Director Song beat the crap out of Eunho and the conversation Eunho had with Wookyung while she was patching him up afterwards, and I realized something interesting. Unlike what I thought before, the only member of his adoptive family Eunho ever actively makes excuses for is Director Song. Never the Head Director. He does say things like "the director and his father are like my family" and "isn't this the way things are in families?" but he never says the Head Director is really a good person or anything similar the way he does for Director Song. The reason I think this is is that while the Director was always abusive to Eunho as well, he was also clearly mistreated by the Head Director, evidenced by just how terrified both men are of him. Eunho probably saw in Director Song something of a kindred spirit, the only other person in the world who knew even a fraction of what he'd been through. So he looked after him, did errands for him, made excuses for him, and probably even cared for him in his own way, because isn't this just how families are? He's just the way he is because he's stressed, the Head Director made him that way, it's not his fault, not really, it's fine. And sure, Eunho helped him systematically bankrupt the Center, but that was more to ruin the Head Director, the person Eunho had a real beef with and the one who would undoubtedly bear the burnt of paying for the debts his son incurred. I honestly do think the thing with Mr. Yoon was completely unplanned, hence why Eunho was so badly shaken when he came across the crime scene in the rice cake shop and was so sloppy leaving it. After all, the Director had never killed anyone before, how in the world was Eunho to assume that was going to be his reaction to hearing the news that Mr. Yoon had been over? The Director even admitted that killing him had been mostly an accident, that he didn't go over there planning to kill. And Eunho knew the Head Director's wrath would be terrible if he knew what his son had done, and that wrath would be directed mostly at him, so he hid the evidence and played dumb, hoping that Director Song would finally repay years' worth of Eunho covering his richard simmons and come through for him, just this one time. Hence the expression of genuine betrayal and heartbreak on his face when he realized due to Wookyung's message that Director Song had thrown him under the bus and abandoned him to his fate, just like every other older person in his life had done. Because think about it. If Eunho truly wanted it, I'm 100% sure Director Song would be just as dead as his father by now. Eunho is smart enough to make it happen if he really wanted to. Heck, he could have just marched over to the police station with the evidence and dropped it off anonymously if all he wanted was to put Director Song behind bars. But he didn't do either of these things. Director Song may have been an abusive richard simmons, but he never abused children, so he didn't deserve death. This is also why Mr. Yoon was not killed by Red Cry, because the evidence didn't check out, so therefore the case was dropped. Because as Eunho put it, he's "not a murderer"; he simply "saves children." Those men might have had their own issues, but they weren't a danger to children, so they weren't on Eunho's hit list. At least, that's the way I interpret his and the Director's relationship. you made some very convincing arguments about Eunho. My impression is based on how the anger shown at the crime scenes and online not translated and manifested by Eunho in person during the standoff at the lighthouse. ﻿I see your points regarding the dissociation. The quiet confession in the car doesn’t match in tone with the public ﻿﻿﻿condemnation tatooed on Hana’s dad back. It doesn’t jive for me but then seeing him tore up the ﻿book ﻿pag﻿es﻿ and muffled the head director, I believe the monster can be unleashed just like how his anger lent him the supernatural strength to beat up the seasoned detective. Oh, I have no doubt in my mind that Eunho has serious anger issues, don't get me wrong, it's just that he doesn't seem to want any sort of public recognition or lauding for what he does, which is what someone with a god complex would want, you feel? He knew no one was publicizing the murders, but he didn't take pictures and plaster them all over the interwebs so that everyone could see what he'd done or anything. It's enough that the message was there for those that looked for it. As for what he did to Hana's father, I think that was a very clear "and richard simmons you too for allowing this to happen in the first place!" to the police investigating the scene. The only other time we've seen him as livid - evidenced by the deliberate mutilation/desecration of the body - was when he killed the Head Director. Ah, but remember, Eunho said the doctor helped him set everything up and recruit members, like Hajung and others. Then the doctor killed himself, and Eunho was like "wat do" for a good long while there. He did eventually start things up again, but at that time, the other members were fully capable of recruiting members on their own, just like Hajung invited Wookyung. I actually question whether he recruited anyone after the doctor committed suicide. Knowing his woeful lack of interpersonal skills, probably not. It is easier to project confidence online, but I can't really see him talking much with the other members. I picture him mostly lurking and only breaking silence when something really caught his interest. That way he doesn't have to deal with adults more than he absolutely has to. So yeah, he was the "leader" but probably only in name. It's likely the other members just did their own thing most of the time. I don't think he knows exactly what have happened to CWK, but he it seems he saw a kindred spirit with CWK. But then again, he is also certain that Bit Na's love for her mom was a false sense of love...and that she seeks her mom's affection, like he does from the head director (it is also eerily resembling the same kind of love that CWK seems to want from her step mother)...and in Bit Na's case, it seems that LEH has the wrong perception. LEH is also very intuitive...that could been seen with his modus operandi as Red Cry. I honestly do think the thing with Mr. Yoon was completely unplanned, hence why Eunho was so badly shaken when he came across the crime scene in the rice cake shop and was so sloppy leaving it. After all, the Director had never killed anyone before, how in the world was Eunho to assume that was going to be his reaction to hearing the news that Mr. Yoon had been over? The Director even admitted that killing him had been mostly an accident, that he didn't go over there planning to kill. And Eunho knew the Head Director's wrath would be terrible if he knew what his son was done, and that wrath would be directed mostly at him, so he hid the evidence and played dumb, hoping that Director Song would finally repay years' worth of Eunho covering his richard simmons and come through for him, just this one time. Hence the expression of genuine betrayal and heartbreak on his face when he realized due to Wookyung's message that Director Song had thrown him under the bus and abandoned him to his fate, just like every other older person in his life had done. Oooh this makes so much sense! I was honestly thinking why he did not plan to kill the director too, but you are right. He told Wookyung that there is more to his relationship with him, and that was that they were both physically abused. He understood why the director turned out to have anger management issues same as how he turned out to be a vigilante bec of the abuse they suffered. I'm going to put my comment in spoiler or else the post would be exceedingly long because I originally quoted your whole analysis because everything is so good. But decided to cut it down...I apologize for cutting your post. I agree with your analysis regarding LEH's relationship with Director Song. He does see a person who has suffer under harsh condition such as him, and that's why he said Director Song is a weak man. But as much as LEH wants to help the man who was abused as a child, he also resents him. And there's possible reasons for LEH to resent him. 1. He resents that Director Song was willing to release the children back to their abuser because of monetary gain and because the issue is too problematic. 2. He resents Director Song for his abuse against him. That's why he didn't stop Director Song from gambling and ruining the Children Center (LEH has access to Director Song's laptop and can easily check what was Director Song doing)..nor did he reply back to Director Song when he asked for forgiveness. To LEH, their relationship is complicated. In one hand, he sympathize with Director Song because he is a "victim" of abuse like him (what Red Cry tries to save), yet on the other hand, he is an abuser and an accomplice to abusive parent (something that Red Cry despised). The mixture of these made him decide not to kill Director Song and to protect him...and ultimately, turn against him and ruin him when he discovered the betrayal. As for a livid LEH...he knocked around JH when JH already lost him on the roof. If I think about it, it is quite cheeky of him to ask JH about his injury and knowing that JH lied about it. @cyan5tarlight while all your theories maybe true, I find the idea that Eunho is a psychopath very sombre. That would make the last 26 episodes that we have watched about a case of detectives and counselor chasing a serial murderer with a twisted sense of vigilante justice in the name of abused children. How would this drama inspire further discussion in the viewers or gather public sympathy for the abused children if there is no reason for redemption in the terrible that is Red Cry or Eunho? I think Eunho’s story has to create a positive movement for the abused so he cannot be a mere psychopath. This cannot be just about one person who got caught up in his own grandiose plan of helping children but ended up victimizing many others on his way to achieve revenge against his own abusers. Like many said, we would understand Eunho but not condoning his murderous ways. It wouldn’t help the cause for the abused children or the marginalized members of society. There wouldn’t be much sympathy toward the children of nobody, except that we have to save them so that they wouldn’t end up be future serial killers. There has to be more to the drama’s message... Eunho’s fallout has to be under a more sympathetic light.